Part of the United States, yet located in the Caribbean, Puerto Rico is a prime vacation destination for families (despite a lack of all-inclusive resorts). Airfare is surprisingly reasonable, and it’s possible to see several parts of the island in one trip. The most (actually, the only) difficult decision is choosing where to base your family between explorations in El Yunque National Forest and Old San Juan. Consider these popular areas for your visit. 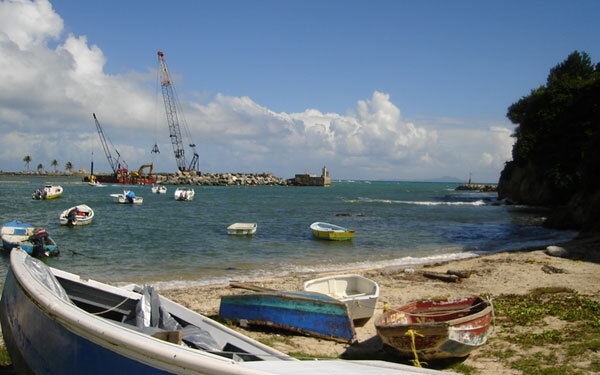 Fajardo is located on the northern tip of Puerto Rico, about an hour’s drive from Luis Munoz Marin International Airport. The scenery en route is pretty at times (you’ll see El Yunque National Forest in the distance) and not so pretty at others (you’ll also see run-down properties), but everything seems worlds away in Fajardo, where the main attractions are the El Conquistador Resort and Las Casitas Village. Owned by Waldorf Astoria, hotel highlights include a water park by the sea, a top-notch spa (with kids’ services) and a private island (accessible by ferry) with water sports, hiking trails and postcard-worthy vistas. San Juan, El Yunque National Forest and Culebra are easy day trip destinations to consider. 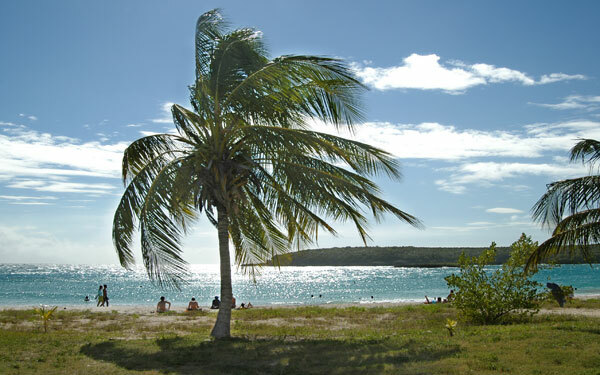 Humacao is similar to Fajardo (and located 30 minutes away), with a resort that is the destination. The Wyndham Garden at Palmas del Mar offers a beachfront location, swimming pools (including a kiddie pool), onsite dining and a casino for parents to enjoy. Alternatively, families can rent vacation homes and enjoy the same activities via local vendors. 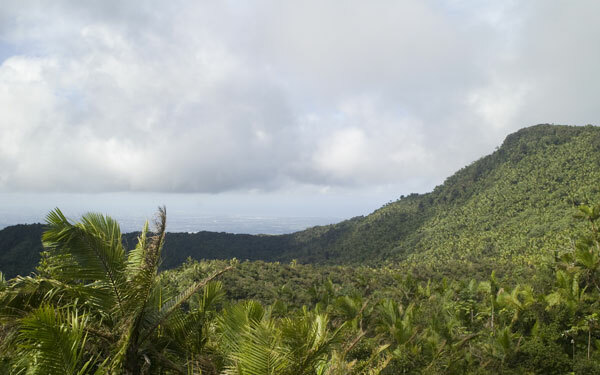 El Yunque National Forest is among the most popular destinations in Puerto Rico; it’s also the only tropical rain forest in the United States National Forest system. Make a day trip there, especially since you have the option to drive it or hike it, but don’t plan to stay there — there are only two small hotels within the park. If you want to spend several days in El Yunque, consider accommodation options in nearby Rio Grande. Resorts include the Wyndham Grand Rio Mar Beach Resort & Spa and Gran Melia Golf Resort Puerto Rico. Rio Grande is 45 minutes from San Juan. 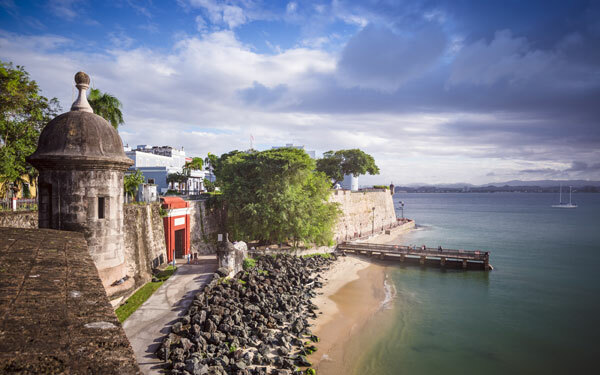 San Juan is a clean, generally safe city, with plenty of waterfront hotel options — families have the option to enjoy an island and city ambience in one place. Popular properties include Marriott San Juan Resort & Stellaris Casino and Caribe Hilton Hotel, though many families also opt to stay in Old San Juan, where cobblestone streets and historic sites — including Castillo de San Cristobal (Fort San Cristobal), a storied fort, and Hotel El Convento, a former convent — practically take tourists back in time. The Casa Bacardi (Bacardi Rum Factory) is also worth a visit for parents — it’s easily as popular as the city itself. The fourth largest city in Puerto Rico, Carolina features beaches, water activities, and major resorts — InterContinental San Juan, The Ritz-Carlton San Juan and Courtyard by Marriott Isla Verde Beach Resort, to name a few. There’s also a children’s museum, Museo del Nino, perfect for an afternoon break from the sun. Carolina puts families within close proximity of San Juan, approximately 30 minutes away, and El Yunque National Forest, just over 20 minutes from town. It’s a rocky and expensive ($225 or so, round-trip) plane ride to Vieques, about 25 minutes from the Luis Munoz Marin International Airport. 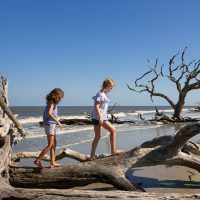 The trek isn’t ideal for families with youngsters, but those who visit are rewarded with unspoiled beaches and bioluminescent waters — there’s even a beach called Bioluminescent Bay. The island isn’t very commercialized either, with only one major resort, the W Retreat & Spa Vieques, plus rental homes and a few smaller hotels. 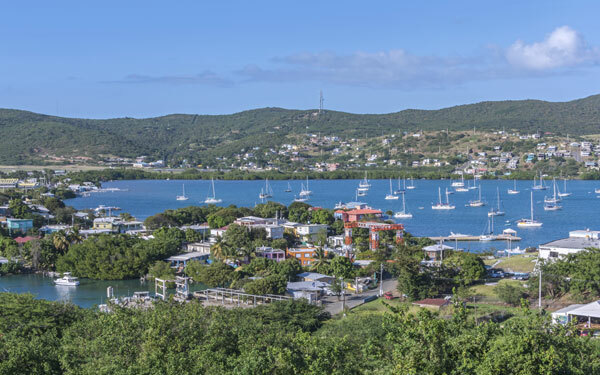 It’s possible to make a day trip to Fajardo by ferry (or take the ferry to get to Vieques initially), but otherwise, you should plan to spend most of your time on the island. 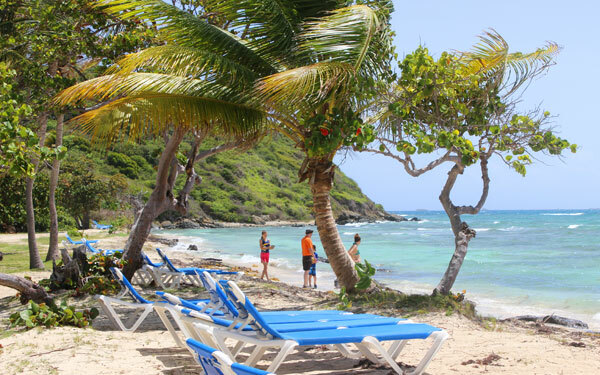 Culebra is similar to Vieques — it’s best for families who prefer vacation rentals. It also touts pristine beaches with azure blue waters, perfect for those who want an authentic island experience. Flamenco Beach is among the island’s best, with bathtub-warm water that’s perfect for swimming, snorkeling and kayaking. Culebra is accessible via a ferry from Fajardo — the ride is less than 30 minutes and $5 per person. If you want to escape most major tourist destinations and attractions in Puerto Rico, go to Rincon. You’ll enjoy quiet beaches and outdoor activities, most notably surfing. Rincon also has two lighthouses. Unsurprisingly, there aren’t any big-name resorts in Rincon — just a few small hotels, inns, and rentals. 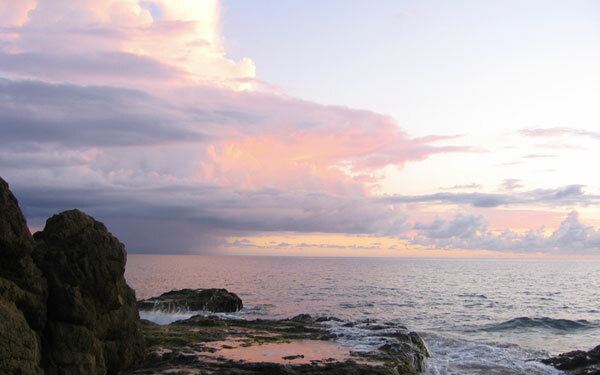 Rincon is located on the northwestern side of the island, about 2.5 hours from San Juan. 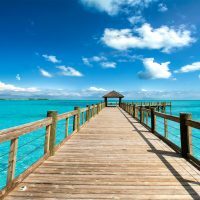 Where Should My Family Go in Mexico? 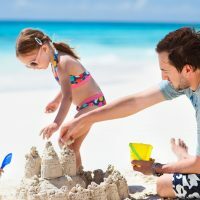 Caribbean Guide for Families: Which Island is Best?